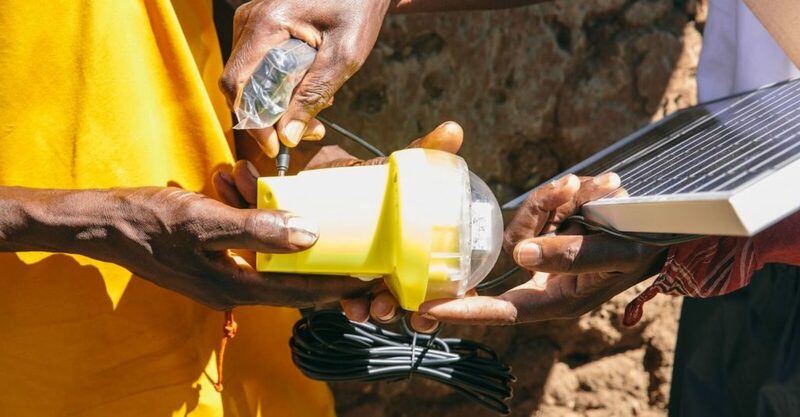 This is a continuing series on using keycode systems to deliver pay-as-you-go (PAYG) solar in off-grid energy markets. In our last article, we learned that building a solar distribution company in an emerging market shares many of the same operational challenges that mobile network operators (MNOs) face. Here, we’ll discuss one approach they use to overcome some of their operational challenges. Of course, not all solutions from mobile network operators can be directly applied to solar distribution, but it’s still worth understanding this prior art to use it as inspiration for pay-as-you-go (PAYG) solar technologies. At the time that these mobile network operators were building out their operations, their markets were predominantly cash economies. In order to scale their businesses, they needed to make it super convenient for as many people as possible to transact with them as often as possible. The only way to reduce the amount of friction per transaction was to build out a huge point-of-sale network, with a wide geographic reach, operated by humans, and designed to collect cash. But what do their customers actually receive in exchange for the cash? How do you actually load more airtime or data onto a specific phone? These points of sales are often simple kiosks, meaning there is no computer system to record a transaction or do anything else automatically. One solution might be for the kiosk operator to call into a call center confirming that a transaction has completed successfully, and that the mobile network operator should then load more credit onto the customer’s phone. This approach has the obvious drawback of requiring even more staff for the call center, and the less obvious drawback requiring the operator to figure out how to physically transport the cash from thousands of kiosks back to central headquarters. It turns out there’s a simpler solution that compensates for the impedance mismatch between a high-tech cell phone network and a low-tech operational environment, which is to convert virtual electronic “inventory” of airtime and data into actual physical inventory. Now, this inventory can be distributed and sold at wholesale prices to a distribution network of kiosk owners, who apply a markup, and sell it just like any other piece of physical inventory, like chewing gum or bottled water. Say hello to the humble scratch card. The concept here is both simple and elegant. Network operators print zillions of these cards, which are then sold at thousands of locations. Each card has a secret code¹ that is revealed by scratching off the weird silvery stuff². The end customer then enters this code into their phone. The backend computer systems receive the code, verify it, and finally add credit to the customer’s account. The cards are not only durable but, more importantly, enable an extremely low-friction customer purchasing experience. They can be bought for cash, in fairly small granularity³, whenever needed by a customer. There’s no latency introduced at the time of sale, and no waiting around for a computer system or call center operator to add credit to your account. They can be stored and consumed when convenient. From the mobile network operator’s perspective, scratch cards are a pretty good compromise to achieve widespread market reach if you’re trying to bootstrap an entire infrastructure. They’ve made it easy and affordable for their customers to buy service in discrete chunks. In the process, they created a market where none existed previously. There are drawbacks, such as the overhead of printing and physically distributing the cards. And, of course, the major concern from the mobile network operators perspective is ensuring and protecting the integrity of the codes. Hopefully we’ve set enough of the broader context around this particular problem space. In our next installment, we’ll be taking a closer look at the keycodes themselves. ¹ Often referred to [interchangeably] as a “keycode,” although as we shall see in a future blog post, there is a big difference between “codes on a scratch card” vs “a fully functional keycode system.” For what it’s worth, Angaza focuses on the latter. ² It turns out there is a lot of science behind this weird silvery stuff! ³ Scratch cards come in a variety of different face values, to accommodate a wide-range of individual consumer cash flows.